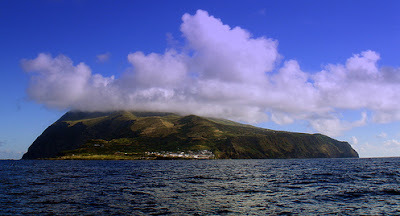 Corvo Island (Portuguese, Ilha do Corvo), is the smallest of and the northernmost of the Azores Islands and the northernmost in Macaronesia, being just 17.45 km² (6.75 sq mi) in area and having only 468 inhabitants (2006) living in a single municipality, of the same name, the smallest in Portugal and of the Azores. The island’s only town, Corvo (or Vila Nova do Corvo), is located on the southeastern coast. Even though Corvo is hardly inhabited, it is definitely worth a visit. Corvo is one of the more beautiful and well-preserved Azorean islands with many of the island’s traditional language, customs, and way of life preserved as a result of Corvo’s isolation. Corvo is simple, peaceful, and charming, offering beautiful scenery, great fishing off of its rocky coasts, and interesting volcanic-induced geology. Corvo was discovered in 1452 by Diogo de Teive. However, it was not populated until around the 16th century. Because the island lacked a natural sea port and was isolated from the other Azorean islands, Corvo developed as an agro-pastoral society supported by subsistence cultivation of corn, cabbage, and potato. The island’s landscape is diverse, home to hills, forests, rocky cliffs, rugged coastlines, volcanic cones, ravines, volcanic mountains like Mont Grosso, which rises up to 2530 feet at its highest point, and caldieras like the Caldeirão which is 1000 feet deep. 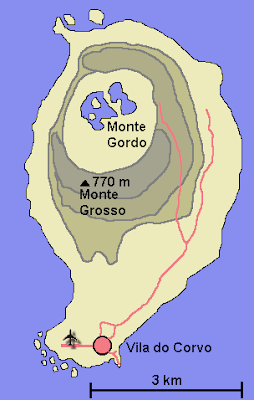 The Caldeirão and Mont Gross are probably the two biggest natural attractions of Corvo. Caldeirão is a 2530 feet deep crater formed from an old extinct volcano and is situated on Monto Grosso, the high mountain on Corvo. 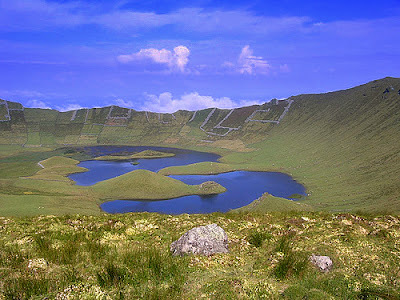 There are two lakes with small islets at the bottom of the Caldeirão crater. At the top of Mont Grosso, you’ll find a spectacular view of Vila Nova do Corvo and 360° sweeps of Corvo. The rocky formations in basalt of Cavaleiro and Marco are interesting cliffs that also provide magnificent vista views of the island. 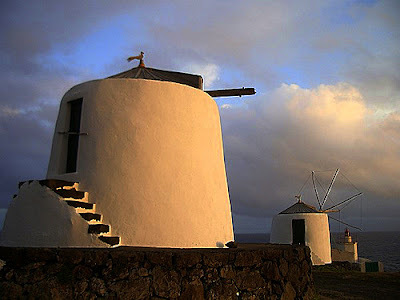 The other interesting feature about Corvo is its windmills, which differ from those of the other Azorean islands. Corvo’s windmills are small and constructed of black stone. They have triangular sails that constantly spin in the direction of the winds, made possible by an ingenious interior mechanism that turns the cupola in such a way as to align the sails in the proper direction. These windmills are very similar to the ones left by the Moors on the Portuguese mainland. Corvo holds the Holy Ghost Festivals as well as a large festival in the middle of August dedicated to the island’s patron saint, Our Lady of Miracles. Corvo is known for its cheese, corn bread, and cabbage. Traditional Corvinho dishes include the “Barca” cabbage, the “Erva do Calhau” cakes, and liver sauce and fried cabbages. The few operating restaurants on Corvo are also known for their warm hospitality and excellent service. Thanks for posting about Corvo. My husband's father left Corvo when he was 14 and we want to go visit. Even though his father is dead we would like to visit where he was born and raised. I subscribed to your blog about corvo and hope you will write more about it. Thanks!